When I was a child I made dolls out of pipe-cleaners, clothes pins, hair pins, twigs, matchsticks, toothpicks, even a plastic spoon. I’d take a walnut shell and imagine it a tub, a boat, a crib for one of my teeny-weenie stick figures. I’d spend hours dressing their figures, binding their frames with strips of newspaper, blades of grass, inches of faded ribbon, layers of toilet paper, tissue paper, whatever I could find to create a two-armed form that I could cradle in the palm of my hands, call my own, and love. As an adult my love of this two-armed art form has not dwindled. Whenever I lack creative inspiration, I turn to the company of these art doll friends and find myself inspired to make another. These days my art doll friends are more refined in the ways they’re composed that includes the variety of polymer clays, cotton fabrics, mohair and yarns; and all manner of beads, bangles and bows. They’re also more sophisticated, which comes with age, experience, and practicing the art of doll-making as a transformative and healing art. Each doll has his or her own unique personality. 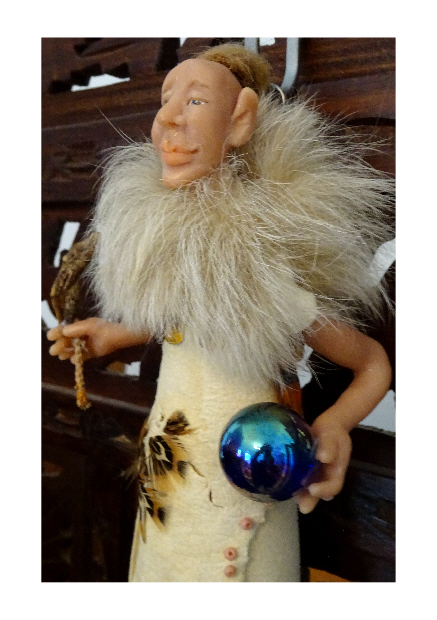 Many have been created with an intention like the 2nd art doll holding the sphere. 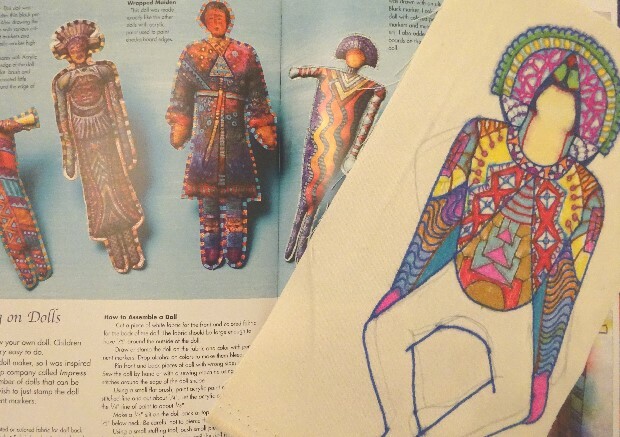 As part of my masters program dealing with transpersonal studies relating to the creative and expressive arts, I decided to research the healing potential of doll making. The one to the left also holds a segment of ginseng root, and represents the healing nature of herbs. 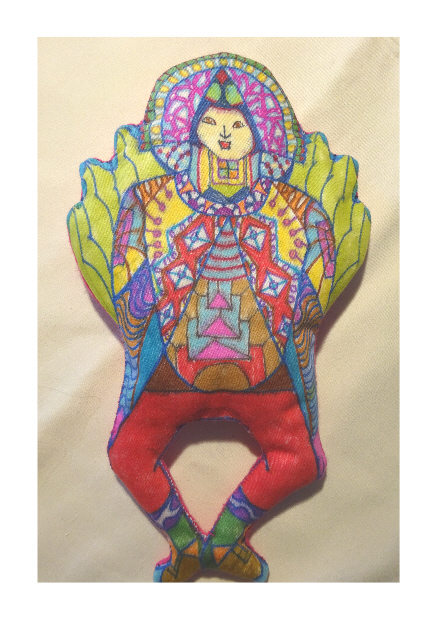 The third doll carries a medicine pouch filled with healing crystals, and sacred artifacts. You can embellish your doll, however and with whatever you have in store and in mind. 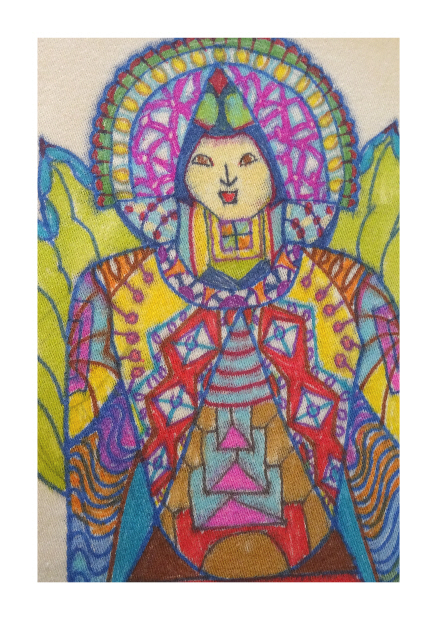 Similar to the making of SoulCollage® cards, each doll is a one-of-a-kind creation created from your imagination, intuition, soul, and given significance via spirit. 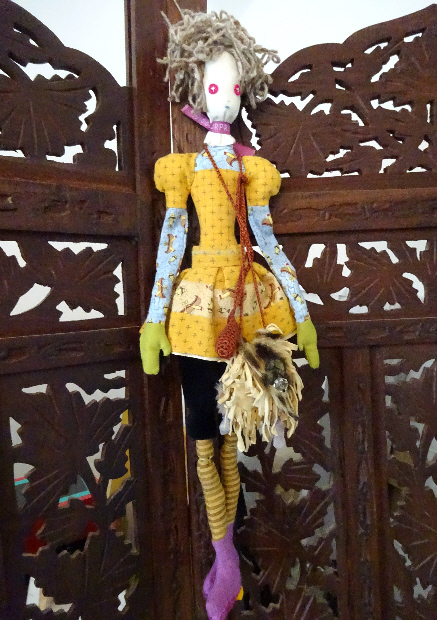 Each doll is made with a certain kind of energy that becomes a journey of discovery. This energy develops and intensifies as the doll takes shape and forms. 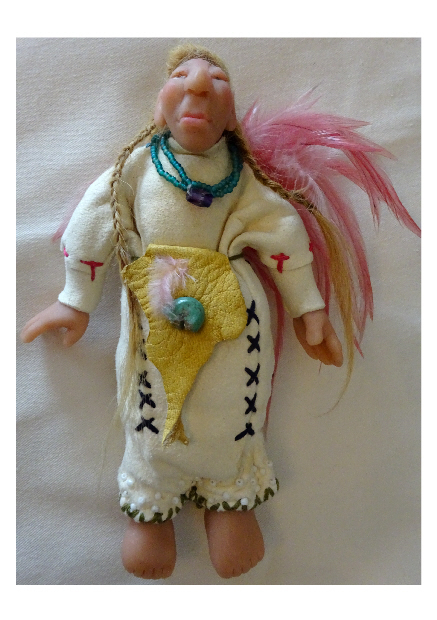 I tend to believe that each doll acquires a healing response to spirit having been made manifest. 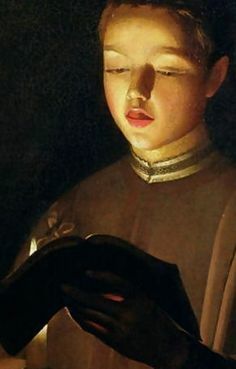 This healing response, intimate in nature, infused to form this doll as it is being recognized, hand held and adored, blessed with every gaze and made relevant, directly affects the maker. 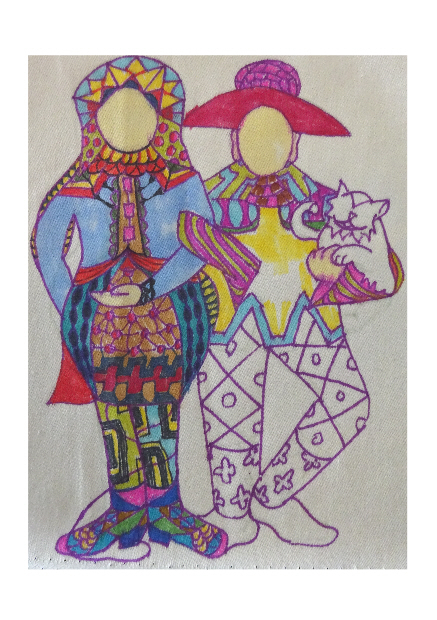 The following art dolls are part of my latest creations, inspired after reading Magic with Makers, by Sherrill Kahn, a fabulous and creative doll artist. 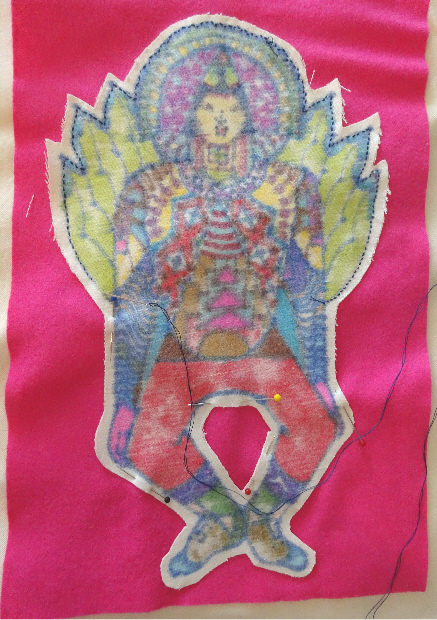 The figure cut from the fabric, reversed, pinned to the backing material, and ready to be sewn. Note the opening between the legs. 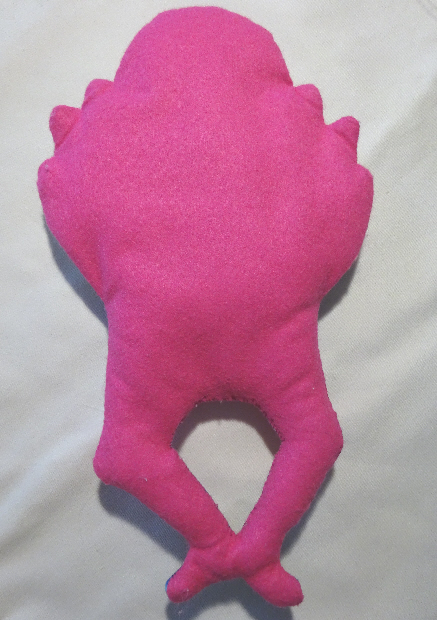 Reverse view: Figure both stuffed with cotton wool and sewn. 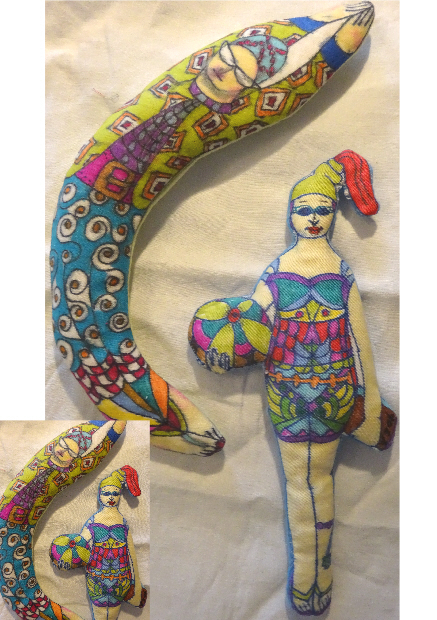 Making these fun filled and colourfully shaped dolls are easy, and use simple sewing skills. 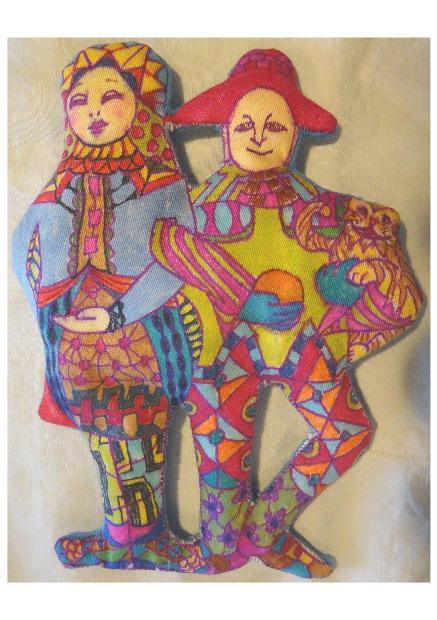 Afterwards you can embellish the dolls with keepsakes, symbols, beads, even write poems and quotes on them. They may not have been intentional or transformative doll projects, but certainly made the rainy days spent indoors playful and worthwhile. Sometimes making a doll is just that: making a doll. It need not be anymore complicated than that. Love, love your sharing, may I quote you on my blog, on Facebook?